Terence Pethybridge Property Management Cme4 Rental Management Express Property Management. 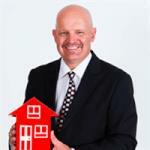 In November 2013, I opened my agency at Alderley having moved from Everton Park, where I ran my Agency since 2008, I look after properties Brisbane Wide but concentrate mainly on Brisbane's North Side. My agency is linked to Express Property Services, who provide all property upkeep services - Cleaning, Garden Care, Maintenance and more. FREE MAINTENANCE PACKAGE - 3 for FREE. Through Cme4 Rental Management, I oversee a network of Licensed property managers each actually paid to perform tenancy inspections, if they don't do them - they don't get paid. I include 3 hours of free property maintenance per year for each rental. This way, I can provide all services to the care of the property, usually these services are paid for by the tenants, allowing my agency the ability to keep tenancy standards high which in turn attracts better tenants paying higher rents. Industry Minimum letting fees and cost effective advertising for up to 10 websites. Note; I maintain A 100% FULL portfolio, so, I am always fielding enquiries looking for places to rent. Terence has looked after my Townhouse at Everton Park since 2008, upon inspecting the property in 2012, my husband and I both commented the property actually looked better than we remembered when we purchased it - He always has maintained a 100% tenancy and increased rents annually. The time you really find out if you have a great agent as opposed to a good one, is if there is a difficulty. Unfortunately, we (Terence and I) had a difficult tenant who stopped paying rent and refused to move. At every step Terence performed above and beyond what was necessary in firstly removing the tenant without causing serious property damage and in then helping to obtain a legal judgement in my favour, his knowledge of the tenancy act and how the rules applied, his impeccable paperwork, and his professional manner lead to the best result under the most negative circumstances. I transferred my rental to Terence, he turned my tenant who had given notice that she was leaving into signing a long term lease while also increasing my rent??? How he achieved this - I don't know. I have since given him another two rentals to manage, I attended (unannounced) without notice, after an open for inspection recently to find Terence running a mop over the floor - apparently because people had dragged in some dust. Anyone who takes this much pride in the appearance of my property is worthy of all the praise possible to be given. He found me great tenants for my new rentals, achieved almost $100. more per week than I was quoted by other rental agents and I am only paying the minimum industry standard fee.